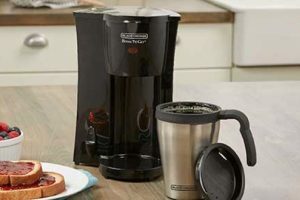 Keurig continues its supremacy in the world of coffee machines with yet another simple, easy to use, and convenient model: the Keurig K-Elite. True to its name (Elite), this machine has been designed to offer the most beverage customization. So, if you are a heavy coffee who wants total control over how your coffee tastes, then this Keurig k-elite might be your go-to machine. For most of us, I bet the best feature of this single coffee maker is the fact that it accommodates all K-cup pods regardless of the maker. This is a guarantee that you’ll never lack something to brew from your local grocery store. 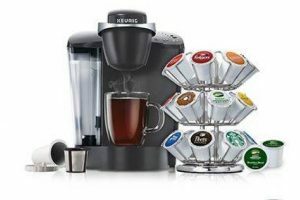 On this note, the Keurig Elite comes with 6 count K-cup pods to introduce you to just a few of the 75 coffee brands worth trying out. The package also brings you a water filter and its handle to ensure that the water used won’t affect the taste of your beverage. This single cup coffeemaker has an impressively designed and intuitive control interface. One thing that stands out here is the different sizes of cups that you can brew simply by heating a button. It allows you to brew any of the most popular cup sizes: 4, 6, 8, 10, and 12oz from its 75oz water removable water reservoir. But one feature that is certain to capture the eyes of most coffee aficionados is the STRONG button. Indeed, previous buyers affirm that this button gives you a stronger shot than when you brew your coffee without hitting it. Even better, the K-Elite also boasts another impressive that caters for everyone else including non-coffee lovers; the Hot water on-demand button. This makes it easy to get hot water for tea, cocoa, soup or oatmeal in just a few seconds without plugging in the kettle. We can’t also forget to note the Iced beverage button located close to the cup-size icons. 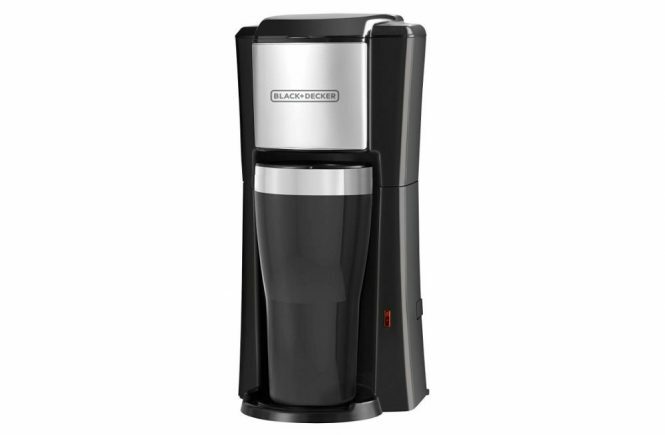 Its role is to let you brew your coffee on ice without watering it down. The Keurig K-Elite is programmable too! The digital clock is accompanied by up and down toggles that let you set the exact time that you wish to have your coffee brewed. 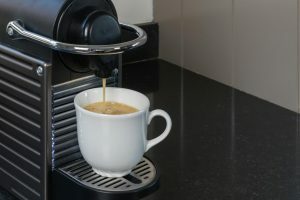 Keurig coffee makers never get annoyingly loud compared to the conventional coffee machines with coffee grinders. However, the K-Elite still features the Quiet Brew technology that minimizes the noise even further. 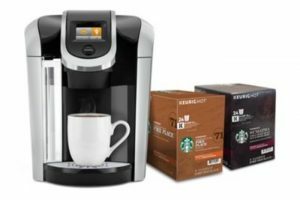 The Keurig Elite is among the technologically advanced coffee machines that the Keurig brand has produced. It utilizes programmable features to bring up to speed the brewing process. It typically takes under a minute to prepare a cup of coffee. 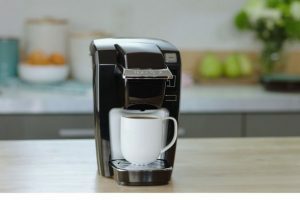 This machine has a lot to go for including a STRONG brew button and ability to brew any K-cup pod from over 75 brands. Also, the iced setting makes it one of its kind. You can combine your favorite pod brand with the iced coffee option to come up with a great cup of beverage. You may also continue experimenting with various mixes and matches. Its easy-to-use programmable buttons make it a favorite among many households. It is a breeze to set up and utilize; you get the hang of it after just few trials. And the best part is that it has been engineered with the K-Elite’s Quiet Brew Technology. So, it never sounds like any aircraft in your kitchen or office. 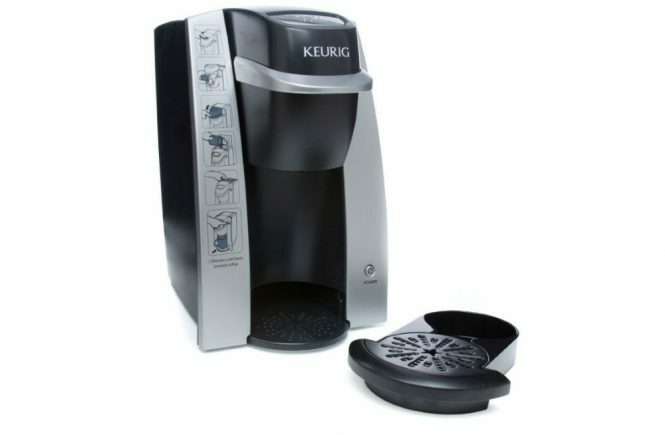 The Keurig K-Elite is among the most advanced Keurigs from this manufacturer. This model is pretty much similar the K575 only that the latter boasts a touch-sensitive control panel for a more contemporary look and feel. If you want better value for your money- considering its high price tag- perhaps the K575 coffeemaker might suit you. The K575 (see its review here) also offers you a larger water reservoir. Its only drawback, however, is that you’ll not be able to use it in case the touch pad refused to cooperate. Again, remember that the Keurig Elite is a single server model. So, you have to make one cup after the other. 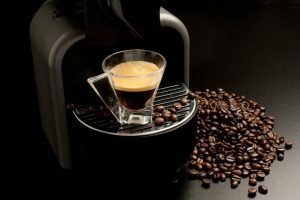 If want a machine that can cater for several heavy coffee drinkers at a go, then a model that brews into a carafe or pot and accepts a K-carafe pod might be your best bet. On this note, we recommend the Ninja CF091. Also, if you are in need of a machine that you can easily shuttle between your home and office, what you should be looking for is a model that doesn’t have an inbuilt water reservoir and has a small statue. Our recommendation: the Keurig K15 Platinum. On the flipside, such a type would be bothersome if you are always in constant need of coffe since you’ll have to refill the machine every time you need a cup. All in all, the Keurig Elite proves to be a versatile machine. You can brew your usual coffee or incorporate some iced variety. Besides, the machine is able to juggle other duties along, such as hot water provision. You may also appreciate the fact that the model accommodates all the k-cup pod varieties. Therefore it does not limit you to one. Not to forget is the one year warranty that tags along with it, which affirms a wise investment. It is a perfect choice for the adventurous and those who want some fun in their way of making a cup of coffee.